While it doesn’t pose a great threat in terms of SEO, it can affect user experience. Let’s check why this text ratio is important and the best way to utilize it for your website. To put it simply, your page is written in HTML code and the content displayed is usually in text. 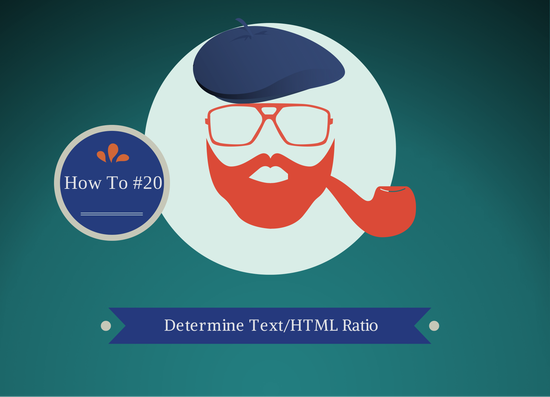 The text to HTML ratio (also referred to as text to code or code to text) is the correlation percentage of actual text content found in a web page. How is Text/ HTML Ratio Calculated? How does Google use this metric? Having a low text to HTML ratio will not send any negative signal to Google or other search engines by itself. Still, it can indicate there are some other issues with your site. This ratio may also be an indication of a HTML heavy page which can affect users’ experience and loading speed. Big size of a page, too many image tags, and new link here and there can all indicate that you need to work on your HTML and CSS. How to fix low code to text ratio? Loading speed is a good way to check coding efficiency. If you site is loading slowly this will indicate you have too many HTML elements. Always try to increase your site speed! Regardless of your text/ HTML ratio, make sure to implement all these solutions if possible. Still, if you want a range you should fit in, a code to text ratio between 20% and 70% is generally considered good. People tend to go overboard when it comes to page design, adding various elements just to make things more colorful and engaging. While this might have a positive impact on your users, it is disastrous for search engines. And never forget: unless you’re able to satisfy Google, you won’t get enough traffic to justify your intricate design. As I mentioned in the first sentence, this ratio is rarely used by SEO experts. Not that it doesn’t matter; it’s just that most professionals keep their code clean and simple and by doing so, there is no need to preoccupy themselves too much with this percentage. Nevertheless, if you’re just starting to learn more about search engine optimization, this metric is a good indication of whether or not you’re having too many elements in your code. It can also point you to some issues with thin content that you’ll need to address. They can have such a negative impact on site’s loading speed so it’s better to remove them. If you liked this post, make sure to subscribe to our email list and follow us on social media!